AMES, Iowa – The third Soil Health Conference will be held in Ames on Feb. 4-5, 2019. The event will consist of two full days of presentations on a wide variety of topics concerning soil health, with invited guest speakers from around the country. 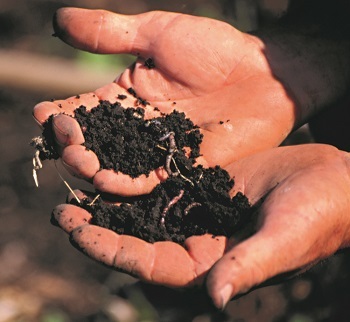 The theme for the 2019 Soil Health Conference is “Science Meets Practice for Advancing Soil Health.” This theme is important given the current challenges farmers face with production and environmental issues, says Mahdi Al-Kaisi, professor and extension soil management specialist at Iowa State University and committee chair. The 2019 Soil Health Conference plans to build off the foundation laid by previous conferences, expanding to a more extensive two-day program with a new “Ask the Experts Roundtable” session at the end of the first day. Speakers from academia, the United States Department of Agriculture, agriculture industry, farmers, students and the private sector will present throughout the two-day conference. Topics covered in this year’s event include: economics of soil health, agronomic and economic benefits of soil health, integration of perennials in row cropping systems, landowner and manager roles in building soil health, and others. There will also be a panel of farmers with a long history of adopting conservation systems who will share their experiences in making such systems work economically. Soil and water continuing education credits will once again be offered to Certified Crop Advisers, and the research poster presentation and display will continue to be a part of the event. Anyone planning to submit a poster should submit an abstract by Jan. 18 at 5 p.m. for consideration. More information on registration and poster submission guidelines can be found at register.extension.iastate.edu/soilhealth/call-for-posters. To register for the 2019 Soil Health Conference, visit https://register.extension.iastate.edu/soilhealth/register. By registering online on or before Jan. 11, individuals will receive an early registration fee of $190. After Jan. 11, the registration fee moves to $225. Student registration is $85. For more details regarding the Soil Health Conference event or for more information about soil health, contact Mahdi Al-Kaisi at 515-294-8304 or malkaisi@iastate.edu. For questions regarding registration, contact Registration Services at registrations@iastate.edu or 515-294-6222. This conference is organized by Iowa State University Extension and Outreach, College of Agriculture and Life Sciences, and the Department of Agronomy. 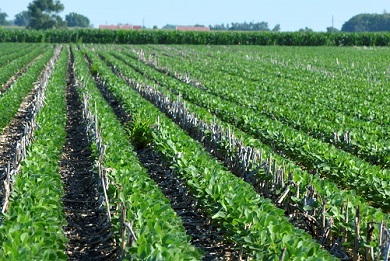 PHOTO credits: Soil in hands, Jerry DeWitt; notill soybeans, ISU Extension and Outreach.